Home / realme / sale / shopee / smartphone / Record Brealing: Realme 3 the Shopee’s record as fastest-selling smartphone under 10K. 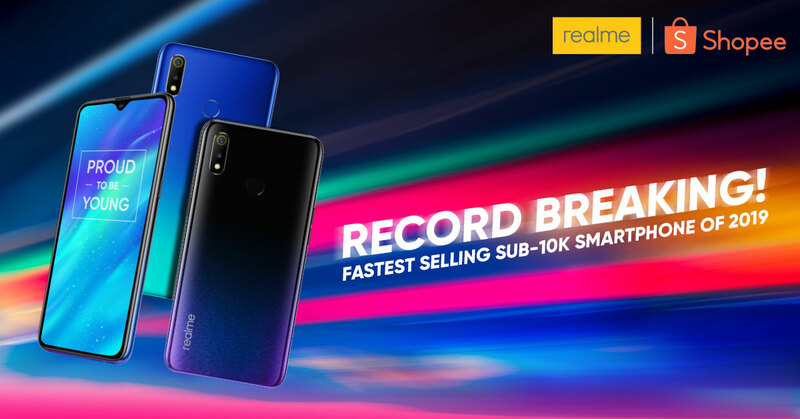 Record Brealing: Realme 3 the Shopee’s record as fastest-selling smartphone under 10K. The Game-changing smartphone realme 3 broke the record for fastest-selling smartphone under Php10,000 on its first-ever flash sale on e-commerce platform Shopee. The realme 3 is also now available for pre-order in retail stores nationwide. The 3GB RAM and 64GB storage will sell at Php7,990 and the 4GB RAM and 64GB storage priced at Php 9,990. A minimum deposit of Php500 will be required for the pre-order. Claiming starts on April 6 for the 4GB+64GB variant and April 13 for the 3GB+64GB model.